Supreme Court has sought response from the Centre today on a petition filed by Aam Aadmi Party against imposing President's rule in Delhi. A bench comprising justices R M Lodha and Dipak Misra issued notice to the Centre asking it to respond within 10 days on the issue raised by the AAP. But it refrained from issuing notice to BJP and Congress which were made parties in the petition, saying it only wants to deal with the constitutional issue. "It is a constitutional issue so whoever has passed the order has to answer," the bench said. As per the reports, they further said that they don't want it to be a political contest. 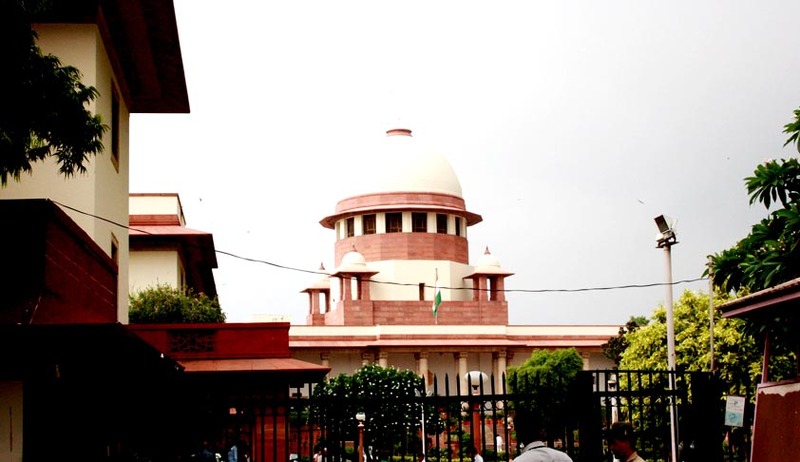 Earlier, on February 21, the apex court had agreed to hear today the petition seeking a direction to the Lieutenant Governor to dissolve Delhi Assembly and hold fresh polls along with Lok Sabha elections. Live Law Report here. The joint petition filed on the basis of newspaper reports and documents available in public domain by AAP and Saurabh Bhardwaj, who was a Minister in Kejriwal’s Cabinet, challenged the decision to impose President's rule in Delhi on the recommendation of the Lieutenant Governor alleging it was done to protect Congress leaders and former Chief Minister Sheila Dikshit from corruption charges. Senior advocate Fali S Nariman appeared for the AAP and explained the facts which led to the filing of the petition. Advocate Prashant Bhushan, who had appeared for AAP, had said there was no possibility of any alternate government in Delhi and the Lieutenant Governor should have dissolved the Assembly. He also contented that order imposing President's rule was with a motive to frustrate the ongoing investigation in those corruption cases in which FIR has been lodged by the Arvind Kejriwal government. The bench has posted the matter for hearing on March 7.